Ay mandin pa!…That tagalog accent, uniquely Marinduque. When I was a kid, summer time means Marinduque time. Growing up, me, my siblings, and my cousins will spend our entire summer vacation in my grandmother’s place, in a small fishing village in the island of Marinduque, our hometown. So, where in the world is Marinduque? Located in the MIMAROPA region, a group of southern provinces of Luzon, in the center of the Philippines, a heart shape island-province, Marinduque. The province lies between Tayabas Bay in the north and Sibuyan Sea to the south. Marinduque borders south and west of Quezon, east of Mindoro, and north of Romblon. The island is divided into 6 municipalities (Boac, Buenavista, Gasan, Mogpog, Sta. Cruz & Torrijos) and Boac being the provincial capital. Legend has it, that the island of Marinduque was formed as a consequence of a tragic love story of Mariin and Gatduke. Just like the heart breaking love story of Romeo and Juliet, the father of Mariin, a local chieftain, did not approve their love affair and ordered the beheading of Gatduke. Before this could happen, the lovebirds sailed away and drowned themselves forming the island of now called Marinduque. Aawww.. Interesting isn’t it!. Let me give you 5 good reasons why Marinduque is such an awesome province and why you should plan your next trip to this amazing island. 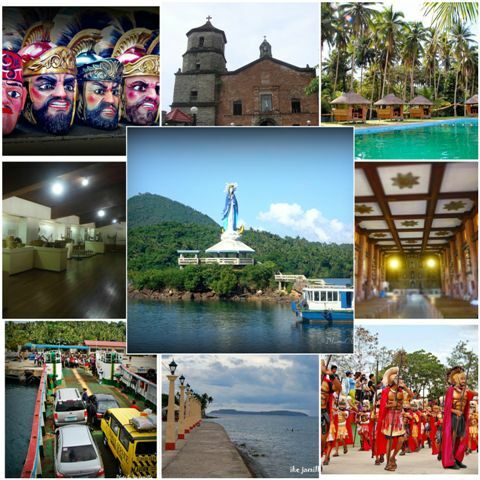 The island province of Marinduque is most known for its Lenten tradition of Moriones Festival. This annual religious festivity that originated in the municipality of Mogpog, is characterized by colorful Roman costumes and masks. 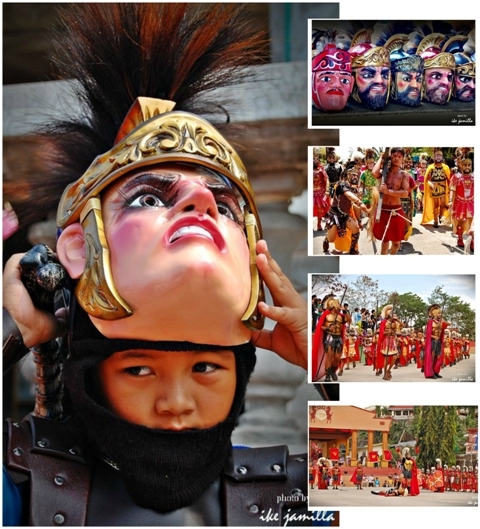 Moriones, is a play based festival from a biblical story of Longinus. During holy week, aside from Moriones, the island province also holds a unique tradition of pabasa (recitation of Christ’s passion in verse) in every municipalities. In general, Lenten celebration in Marinduque is about the religious devotion of its townspeople. A vow of penance or thanksgiving among its practitioners, which is passed down from generation to generation. 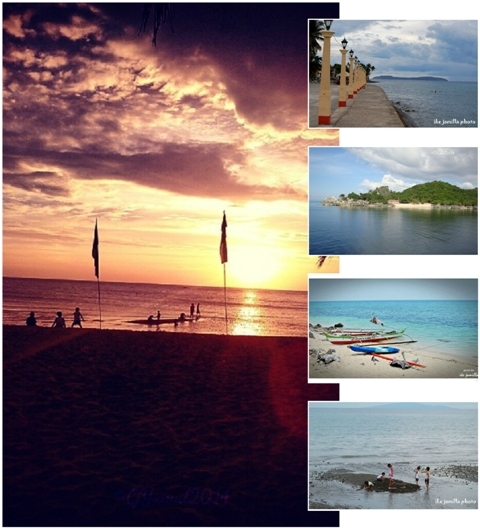 Marinduque is an island-province, it is naturally blessed with 360° degrees of clear blue water and gorgeous shoreline. It is nearby Metro Manila, a perfect escapade from the hustle and bustle of the concrete jungle of the city. Marinduque has pretty much or even better from what Boracay and Puerto Galera has to offer, in terms of pristine beaches. Locals enjoy its beaches all-year round…lucky!!!. Since it is not highly populated by tourists, the province remains its beaches as a perfect place to unwind. By the way, if you want to go big time and fancy, you can check-out Bellarocca. The province is also surrounded by small group of islands, for Marinduqueños, island hopping during summer time is simply like a normal routine. With a bag of chips, a loaf of bread, and a big bottle of water, it is certainly having a blast moment by the beach, pure pleasure! And, if you want to go for a dip in a hot spring, Marinduque has that covered as well, like the one in Malbog. Once done soaking up the sun by the beach or hot spring pool, why not go for a splash in Marinduque’s waterfalls like in Paadyao Falls, then consider to go on a hike too. Adventure options are unlimited in Marinduque. Walking along the streets of Marinduque, you can still see ancestral houses that depict influences of Spanish colonial time, as well as the native Filipino house “bahay kubo”. You’ll also notice other architectural influences in every churches in the provinces. If you’re into archaeology, Marinduque is an archaeological site, it provided vital archaeological finds about Philippines pre-Spanish era. Marinduqueños are considered to be hospitable and very welcoming. One such proof to that claim, is the tradition of putong or tubong. A custom of welcoming and honoring friends and visitors. It is also a form of thanksgiving and prayer for a long and blessed life. Another uniquely Marinduque, is the version of Tagalog spoken by its inhabitants. It has been described as “the root from which modern national forms of speech have sprung,” where remnants of archaic Tagalog could be found. If this linguistic theory is accurate, Marinduque’s Tagalog has contributed significantly to the development of the official Philippine national language. Even to this date, Marinduqueños speak a variation of Tagalog that is very similar to the way that Tagalog was spoken before the Spanish colonization. If you’re a food enthusiast and always in the mood of new flavors, then Marinduque has something to offer for your taste buds. Big fast food chain restaurants are nonexistent in the beautiful island of Marinduque, therefore, what Marinduqueños consider fast food are homemade made with passion and tradition. Make sure that when you visit Marinduque, you’ll add to your list these following Marinduque food (and local alcoholic drink) to name a few. Marinduque is a quite, stunning, and relaxing province and it is exactly what it should be. 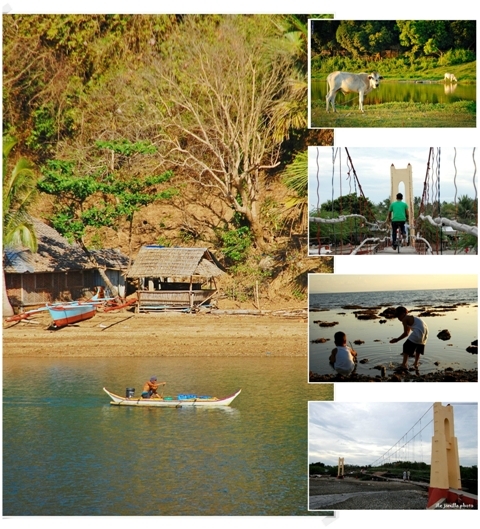 When you go to Marinduque, you’ll be reminded of the simplicity of life and indulging in real simple life pleasures. That, in this fast changing world, where everything seems to be complicated, there is still a place on earth where life is like a walk in the beach (figuratively and literally). Marinduque will let you disconnect to connect once again to what really matters most in life. Personally, Marinduque is a place that always keeps me grounded, a place of beautiful memories. It will always be a reminder that wherever I go, home is always there waiting for me, and deep down inside, I’ll always have that small town girl in me. 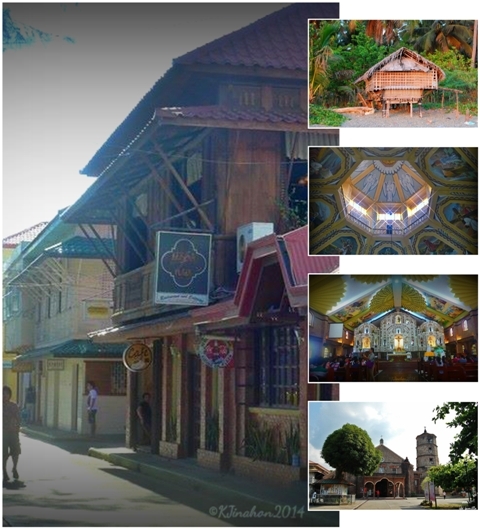 Did you enjoy the bits of information about Marinduque? Make sure to stay connected with The Mixed Culture by subscribing to my mailing list to get my latest blog straight from your inbox. Or, follow me in Facebook and in Instagram. If you have any questions, feel free to email me or comment below. very nice…my parents are from Daykitin, Buenavista, Marinduque, I’m glad that this article promotes our native land in a worldwide scale…thank you…. thank you… I’m glad you liked it. I’m a proud Marinduquena….my family and relatives are from Mogpog. Astig.. Galing mo.. Idol na kita.. Previous Previous post: Embracing Guatemalan food.